Bruce Boettcher, BG Consultants Amy Welch, Noxious Weed Dir. • Tuesday I attended the Health Department Board meeting. Finances are in better shape. • I will attend the Chamber luncheon next week with the Secretary of Commerce. • Received a letter concerning gravel on a low maintenance road. • Met with residents near Road 190 & Road E regarding the proposed cell tower. • Monday I attended the Council on Aging meeting. I am preparing guidelines for them on presenting their budget. • Tuesday I attended the Chamber of Commerce Committee meeting. Looked at housing and development. • I attended the Fairgrounds Foundation meeting. • Yesterday I met with Russ Bonitatibus regarding communication and creating a Chairmen’s Circle meeting. • Next Tuesday is JEDAC. • I attended the Chamber of Commerce meeting. • I am meeting with the RDA and Dept. of Commerce tomorrow. • Last Friday I met with Rob Gilligan and Tyler Curtis to Iola to meet with Bill Mantis with Allen County Thrives. • I received a road vacation petition and scheduled the viewing for March 27th and the hearing on March 28th. • Tuesday I will participate in the Emergency Operations Exercise. • Attended the Fairgrounds Foundation meeting. • I will meet with Jarrod Fell and Roxie Van Gundy regarding the radios. • Attended the Chamber of Commerce meeting. • Sales tax numbers are good. • JEDAC is next Tuesday. Meeting reconvened at 8:48 a.m. with information. Bruce Boettcher presented Commissioners with a report on the improvements for Rural Water District #1. Weather conditions are slowing the final stages for completion of the project. Amy Welch presented Commissioners with the 2018 Annual Noxious Weed Eradication Progress Report. This report is submitted to the Department of Agriculture. Motion: To move to Non-Elected Personnel Executive Session with Commissioners and Amy Welch for Evaluation, to return at 9:15 a.m.
Meeting reconvened at 9:15 a.m.
Meeting reconvened at 9:36 a.m.
Public comment: Russell Osborn, resident commented on a petition of neighbors who are in agreement of the location of the proposed cell tower. He commented on the location of the proposed cell tower. He stated that he is not opposed to the tower but the close proximity to his home. Sam Seeley presented Commissioners with two applications for zoning changes. One application is for a cellular tower and a rock quarry. A valid protest petition was filed on the cellular tower location. Counselor Goodman interceded and noted that a full quorum was not present for the vote during the Zoning Meeting on the cellular tower with one vacant seat. Neither Counselors have had time to research the issue to effectively advise the BOCC and Counselor Goodman suggested Commission defer for 30 days for legal to research. Motion: To Table Application #2019007, a request for Agriculture Conditional-Use “Communications Tower: by AT&T and Network Real Estate. Note: Commission will table this issue until March 28, 2019. 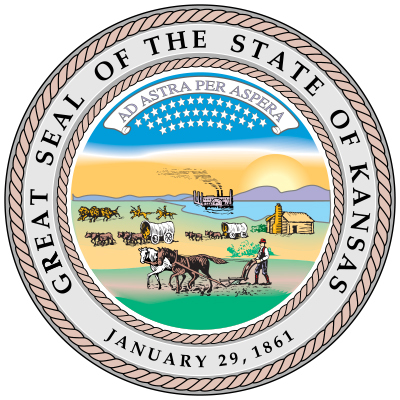 Motion: To Adopt Resolution 04-19, a Resolution granting a Conditional Use Permit (CUP) in a certain area in Lyon County for a “Rock Quarry” and Amending the County Zoning Map as adopted by Resolution 9-03, as Amended, of Lyon County, Kansas, to conform with said Conditional Use Permit. Motion: To move to Non-Elected Personnel Executive Session with Commissioners and Roxie Van Gundy for evaluation, to return at 10:30 a.m.
Meeting reconvened at 10:30 a.m.
Meeting reconvened at 11:00 a.m. There being no further business before the Board, the next Action Session will take place on March 7, 2019.